Dance Auditions -- all skill levels! Here’s your chance to DANCE! Monday, March 26 from 6-7 p.m. in room 2L12. No experience necessary. All skill levels accepted. 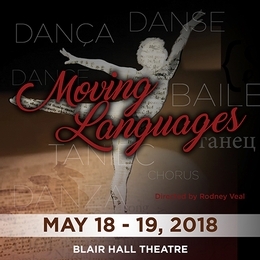 Performances May 18-19 in Blair Hall. Show up 20 minutes early, dressed to move, and fill out an audition form. Bring your calendars to list any rehearsal conflicts, which may affect casting. Rehearsal schedule will be available at auditions. Clothing should not restrict movement and either dance shoes or barefoot please.